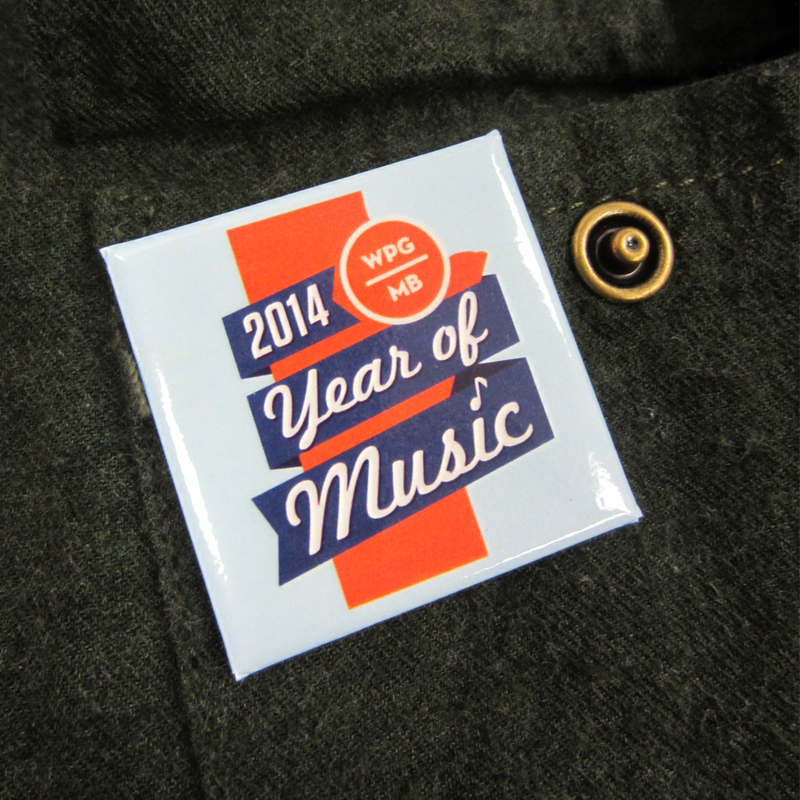 Manitoba speaks in music and wear 1.5″ square buttons! In case you didn’t know, Manitoba has declared 2014 The Year of Music. “Manitobans know about our rich music scene, but this coming year we will show the nation and the world the thriving music we have here,” said Premier Greg Selinger. 3 national award ceremonies are slated to take place throughout the year, including Juno Awards week in March, the Aboriginal Peoples Choice Music Awards in September and the BreakOut West music festival and Western Canadian Music Awards in October, all of this on top of the provinces annual music festivals. Boy-oh-boy are we glad we have the button making know how to supply so many awesome pinback buttons to so many great events and musical performers.